Building on the success of the popular VHT Special 6 and Special 6 Ultra, the VHT Special 12/20 features increased power (with two power ranges), a unique preamp specifically designed to excel with pedals and multi-effects units, an all-tube buffered effects loop with send and return level controls, VHT's unique Depth and Texture controls, a variable Watts control, and a convenient built-in 9-volt DC pedal power supply. 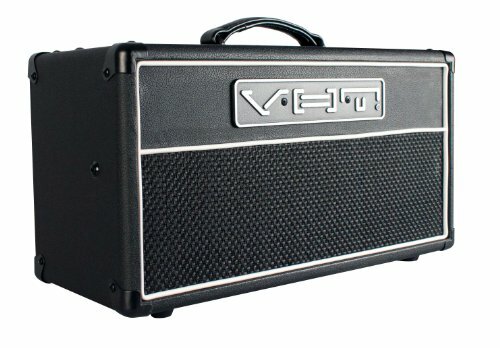 To optimize the amp for a wide range of output tubes, the VHT Special 12/20 offers two output-power ranges; safely located behind the rear panel, a special voltage range switch provides the proper voltages for 6V6 or EL84 output tubes (in 12-watt low-voltage/low-power mode). The high voltage 20-watt setting provides the ideal voltages for higher-power 6L6 or EL34 output tubes. The Special 12/20 ships from the factory with a pair of 6V6 output tubes (VHT 6V6-to-EL84 socket adapters are required for operation with EL84 tubes). In addition, the Special 12/20's variable Watts control can reduce the maximum output power to less than one watt for whisper-quiet volume levels. The Special 12/20 preamp was designed to bring the most out of every effects pedal and multi-effects unit with enhanced clarity, detail, and controlled tube compression. Its low-impedance buffered effects loop send - with variable send level - can effortlessly drive the most difficult pedals without tone or signal loss. Thanks to its variable send and return controls, the 12/20's effects loop can accommodate a wide range of pedal or rack effects. Those seeking the shortest signal path to the output stage can plug their pedals or multi-effects units directly into the effects return jack - the 12/20's unique output stage Depth and Texture controls are post-effects loop, so the output stage characteristics can always be fine-tuned to accommodate a wide range of instruments, speakers, playing styles and environments.